A TV series about a bionically enhanced detective who can literally "see the truth" is the kind of ludicrous proposition which would have struggled to make it to air even during the golden age of action-adventure television in the 1970s and early 80s. However, it's clear that Mindhorn writers Julian Barratt (The Mighty Boosh) and Simon Farnaby (Detectorists, The Mighty Boosh) fondly remember an era when p-leather jacket-encased men with formidable facial/body hair combos ruled the airwaves, delivering humanity from a variety of evils on a weekly basis with the help of corny humour and futuristic, highly implausible technology. Their hugely enjoyable Sean Foley-directed big screen farce centres on washed-up actor Richard Thorncroft (Barratt), who had his 15 minutes of fame playing 'bionic Bergerac' Bruce P Mindhorn – catchphrase: "It's truth time!" – on British TV during the 1980s before making a cringe-inducing, bridge-burning leap to America for a movie career which never happened. Now bald, barrel-bellied and reduced to endorsing a figure-enhancing men's undergarment called Tumpers, Thorncroft gets a shot at redemption and a possible Mindhorn DVD-based career renaissance when a killer on The Isle of Man demands to negotiate with the faded star's long-cancelled bionic eye-sporting TV alter-ego. There's a slight catch in that the unrelentingly self-obsessed Thorncroft very publicly slated Mindhorn's island stomping ground – the "limited gene pool" his actress-turned-TV reporter ex-wife Patricia Deville (Essie Davis) still inhabits – during a disastrous drink-fuelled appearance on Wogan just prior to his career going down the tubes. Such antics and Thorncroft's ill-advised foray into music with pop metal anthem (You Can't) Handcuff The Wind (penned and sung by Barratt himself) are just a couple of the spot-on details which belie the writers' keen eye for the on and off-screen tropes and foibles of their subject matter. 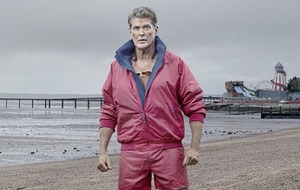 Dare we mention the exploits of former Knight Rider star David 'Don't Hassel The Hoff' Hasselhoff, for example, whose unlikely career trajectory Richard Thorncroft would probably literally kill in order to emulate? 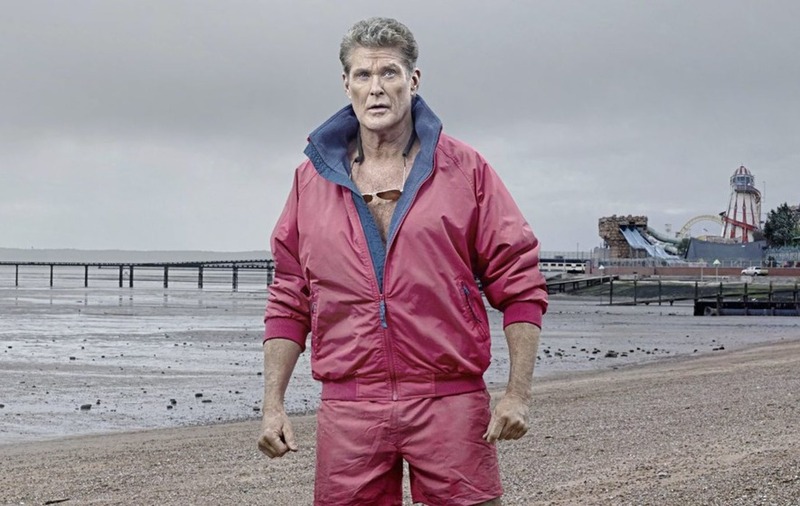 "Hasselhoff's incredible, the way he's pulled it around," says Barratt, who will be in Belfast tonight with director Foley and co-writer/co-star Farnaby for the gala screening at Belfast Film Festival. "He sort of did it all and then got involved in the ironic send-up of himself." The film is informed by Barratt's own childhood TV favourites, which included James Garner's classic gumshoe serial The Rockford Files and other crimebusters from both sides of the Atlantic. "There's something about the TV detective," he tells me. "The guy who's on his own: he's been through the wringer, he's got bad memories. It's all those sort of tropes that are just brilliant fun. Sending them up is fun, but they also they actually just genuinely work." He continues: "The Six Million Dollar Man was a big one for me – I was massively into that. I joined the Scouts at one point, but then I had to stop the Scouts because it clashed with Six Million Dollar Man – obviously, we couldn't record anything during the late 1950s. "Starsky & Hutch I absolutely loved, if I was allowed to stay up long enough to watch it. It was just incredible. My ideal night was, you get fish and chips, a cup of tea and Starsky & Hutch – what a joy. "Then a bit later, there was Bergerac on a Sunday night when you'd have a bit of fret-less bass to ease you into a warmer, cosier TV experience." Indeed, John Nettles's significantly lower budgeted and somewhat less glamorous Jersey-based TV sleuth is another key influence on Mindhorn, who is amusingly damned with the faint praise of being "the Isle of Man's greatest detective" in the show's superbly realised opening sequence. 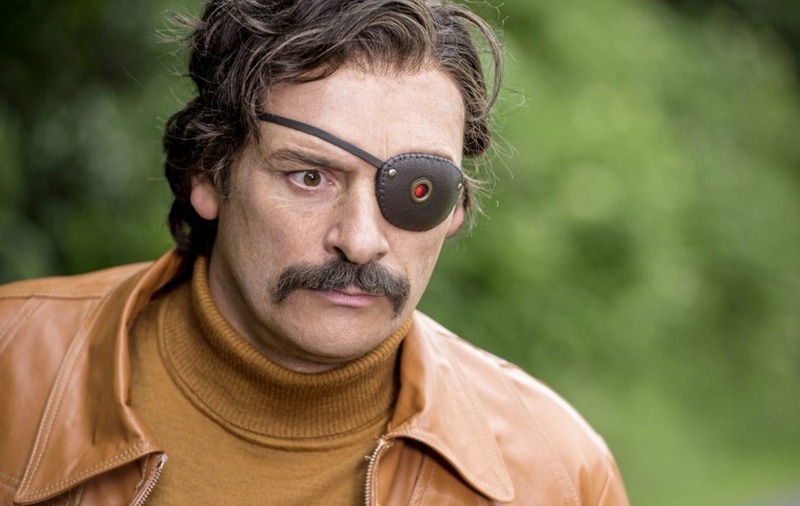 However, Barratt reveals that he and Farnaby were initially inspired to write Mindhorn by their mutual appreciation for a similarly themed failed TV pilot called Lookwell. "It's really really funny," says Barratt of the obscure 1991 American production written by Conan O'Brien and starring Adam 'Batman' West as a faded TV star turned terrible sleuth. "It was about a guy who used to be in a TV cop show who thinks he's still a detective. "We both loved that. But it was Simon who came up with the idea of a suspect calling the police and demanding to speak to 'Detective Mindhorn'. Then the police go, 'wasn't that a TV show in the 80s?' and from that you cut to the actor who played him, who's completely lost the plot. You've got the whole narrative of redemption right there in that one idea." From the limited amount of footage we see of Mindhorn in action during his TV heyday, clearly Richard Thorncroft and co were never in danger of winning any Baftas. "The whole point of Mindhorn, I think, was the idea of a show that was really not that good," chuckles Barratt, who reveals that plans may already be afoot to bring Mindhorn to the small screen for real – albeit in the ironic and keenly observed 'fake retrospective' style of 80s genre TV spoof/tribute Garth Marenghi's Dark Place. "We would love to do a version of it like Garth Marenghi, were we do mock interviews and show clips " says the actor and writer, who appeared as a vicar in the aforementioned cult comedy favourite, which also featured a cameo by his Mighty Boosh co-conspirator and newly installed Bake Off presenter, Noel Fielding. "They absolutely nailed the format. I've seen other shows that have since tried to do actual parodic versions of 80s TV, but I think you're in tricky territory unless it's incredibly super funny for every single moment – to be able to cut away is a better way to do it. "I'd love to try and give it a shot." Mindhorn screens tonight at 7pm at Movie House, Dublin Road as part of the Belfast Film Festival (BelfastFilmFestival.org). On general release from May 5.